Gone2Korea would like to give a BIG THANKS to everyone who’s secured jobs through us over the years. So thank you! We’re super happy to know that you’re super happy with our services 🙂 We appologize if your review or testimonial is not posted below, please check back at a later date for updates. “Life in Korea is great. Everyday I spend hours teaching young students how to speak English, share, sing, laugh and grow. I came here to teach and I love it. Seriously, I wouldn’t be here if it wasn’t for the help and guidance of the Gone2Korea staff. They helepd me each step of the way. I couldn’t have done it alone. This has been the experience of a lifetime. I love Korea. I really love the culture here. I have made many friends from around the world. I have been able to experience the life and culture here too. I can’t believe I have already been in Korea for two months. It’s going by fast. It’s been amazing so far”! 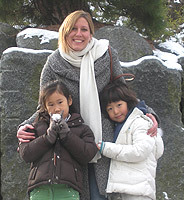 “Moving to a foreign country to teach can be a daunting task. The decision to come to Korea for me was spontaneous and after applying at Gone2Korea, I found myself in my job just a few months later. The Gone2Korea staff helped me through all of the paperwork and made sure that I was placed in a job that was right for me. 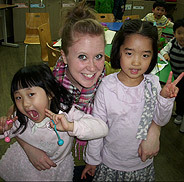 Living and teaching in another country is one of the most amazing experiences I can imagine. Living in a place so far from home seems overwhelming, but once I got to Korea, it quickly began to feel like home. All of my staff have been really supportive and friendly. Everyone that I’ve met in Korea is really helpful and nice. The food is great and the scenery is really beautiful. All of the expats in my city form a type of family away from home. I would recommend this experience to anyone up for an adventure”! “Korea is amazing. I’m having a great time here, and the part of the change that I was most worried about – teaching children – has turned out to be much better than I imagined it would be. Teaching itself is fun for the most part, and when the kids actually pay attention and I can see that they’re learning, it’s very rewarding. My co-workers (both foreigners and Koreans) are great. I bought a scooter, and it’s among the best purchases I’ve ever made. I like my neighborhood, and I love the food. I still love going into a new restaurant and pointing at something on the menu that I can now read (or rather, pronounce, but not understand), and ending up with something absurdly oversized, absurdly delicious, and absurdly cheap. I’m thrilled I signed up with Gone2Korea – your assistance resulted in my teaching in an awesome seaside city that I would never have found on my own. I love it here”! 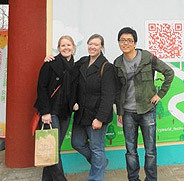 “When I decided I wanted to teach abroad, I was unsure of where to start. Gone2Korea had been recommended to me, and I’m happy I made the choice to work with them. Gone2Korea is both professional and supportive. I had a lot of questions, and they were all answered promptly, and I always felt that I was a priority. 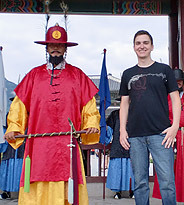 I felt comfortable working with my recruiter, and my transition to South Korea was very smooth. 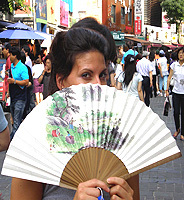 I have only been in South Korea for a short time, but I have loved the experience so far. The people are friendly, the food is good, and the kids I teach have been great”! 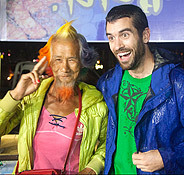 “The Gone2Korea crew are, to use grammatical paralance, superlative. 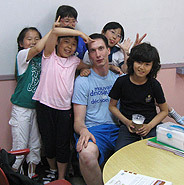 With their help, I landed a job teaching English at a private school in beautiful Tongyeong. Anyone set on going to teach English overseas for the first time should go through a recruiter,and you can’t do better than Gone2Korea. They make the whole process smooth and painless,and answer questions immediately and helpfully. They are consumate professionals every step of the way. Go with these guys, they will take care of you. “. “Gone2Korea has made this a great beginning to an amazing journey. When I found them via the internet, just by looking at their professional website and the research they had to offer, I knew that I was going to be taken care of. Gone2Korea was a huge help right from the start. If it wasn’t for them giving me advice, I do not know where I would be right now. Thus far, it has been very rewarding to teach English abroad and I am so glad I have found people that I could trust and count on to get me an experience of a lifetime. Thank you so much Gone2Korea!”. “Gone2Korea assisted me with numerous documentation details, as well as managing the initial and early communication between me and my employer. Since I’ve been in Seoul, I’ve noticed that people who work with an established and responsive recruiter usually experience a smoother transition. As a foreigner, you need someone in your corner who has a strong rapport with your employer and who will speak up for you. It ensures better living and working conditions. This is exactly what Gone2Korea did for me”. “Gone2Korea made my move to Korea soo comfortable and easy!! They helped me with every step and always answered any questions very quickly!! 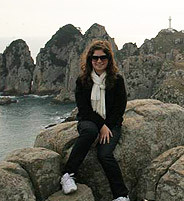 I am having a wonderful time in Korea!! I have fallen in love with my students and getting to travel and meet new people in my spare time has been my dream come true!! Having my own classroom and being able to experience being a full time teacher is sure to help me with my job search when I return to Canada! “This first month has been a whirlwind, a lot to take in. 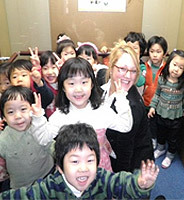 I am really enjoying the school, the teachers and learning about Korea. Everyone has been very nice and it has been a pleasant transition so far. I just wanted to say thanks to Gone2Korea for all their help; the school director, staff and the Korean people in general are very helpful and friendly. I am enjoying myself here and I look forward to the rest of my time teaching and learning about the country”.